Classic 3 bedroom home in the Harbor neighborhood located 2 miles from schools, park, and West Orange Trail. Eat in kitchen off entry showcases stainless steel appliances, tile counter tops, pantry, and pass through window to dining area. Dining room/living room combo off tile foyer with gorgeous wood laminate floors, and cozy corner fireplace. NEW neutral 2 tone paint. Master bedroom includes wood laminate floors, and en-suite bathroom with corner soaking tub, dual sinks, walk in closet, and shower. 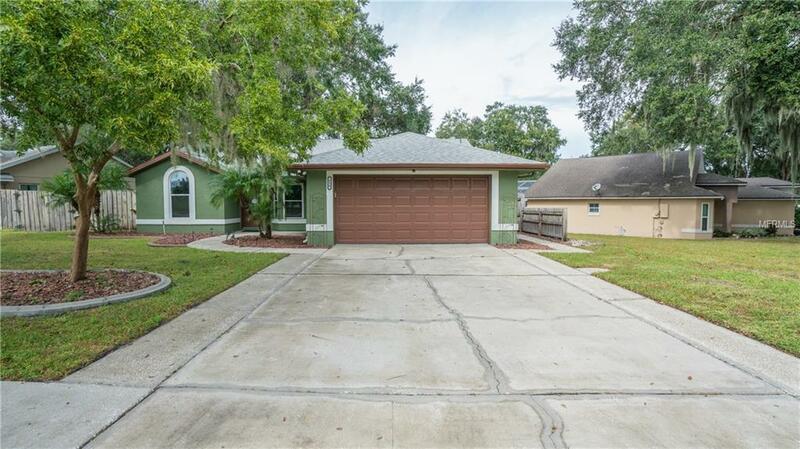 Florida room off rear of home with tile floors overlooks private fenced grass backyard. Backyard features free standing deck for BBQ's and gathering plus storage shed. A must see! !